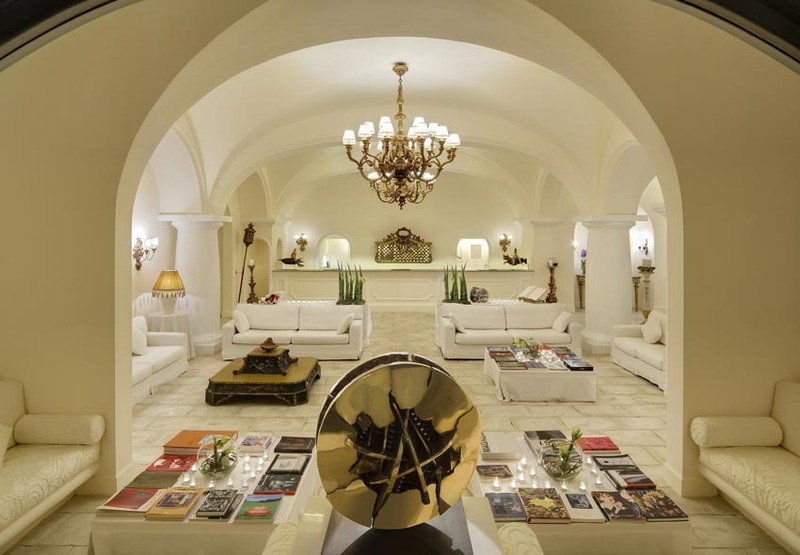 In Anacapri, the most exclusive and unspoilt part of the island of Capri. 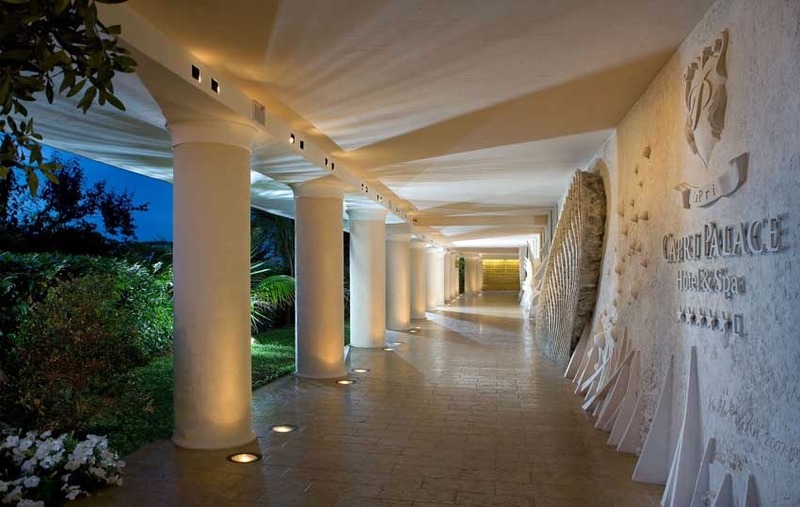 A modern resort atmosphere pervades this unique Mediterranean style hotel set in enchanting gardens. Contemporary style. The stone floors, the arches, columns and vaulted ceilings recall the typical architecture of the Mediterranean palaces of the 18th century. Spectacular design: cool beam, off-whites dotted with antique artifacts from around the world. Modern furniture blends with Louis XVI period furniture and touches of gilt. 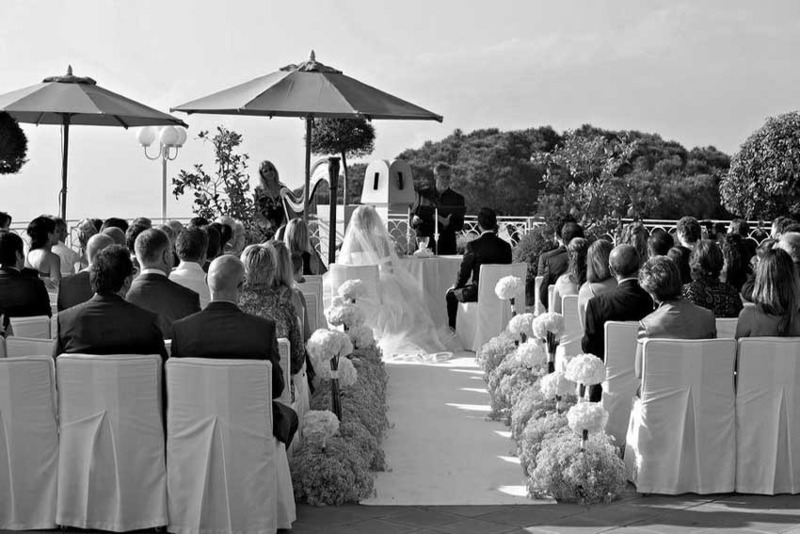 Civil and protestant weddings are celebrated in the heart of Capri. 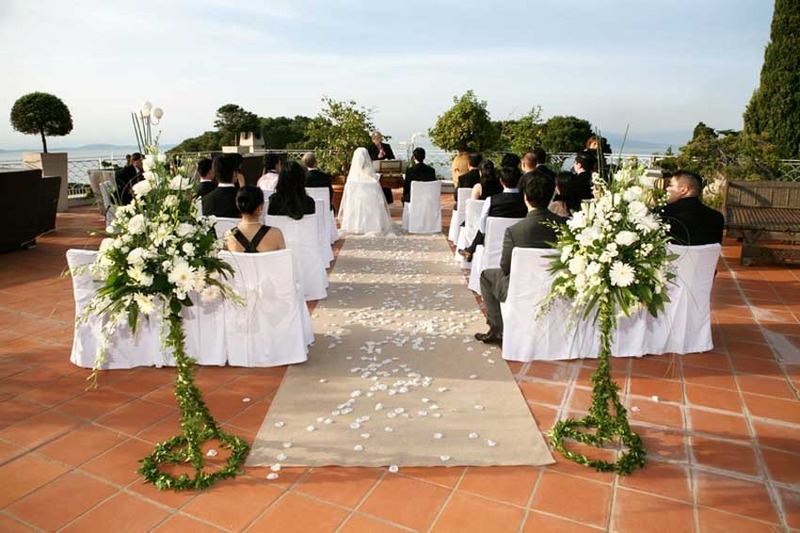 Civil and Catholic ceremonies in Anacapri. 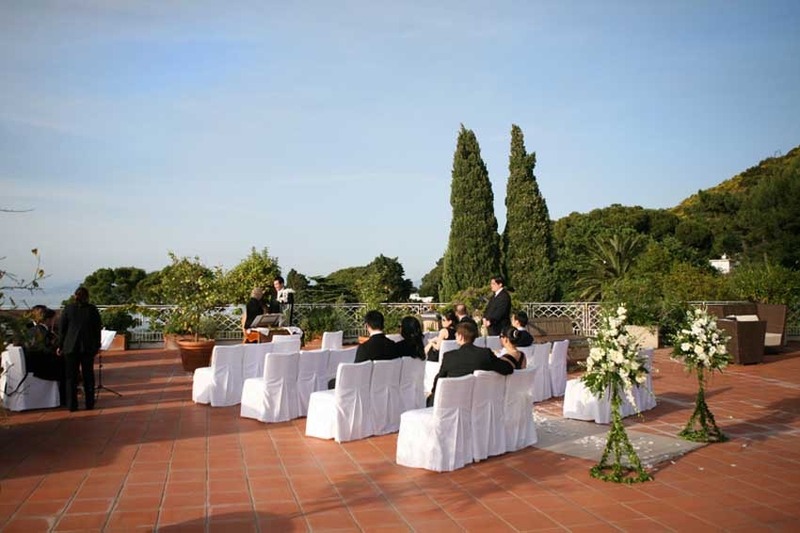 Symbolic, protestant wedding can be performed in the rooftop garden of this fabulous hotel. 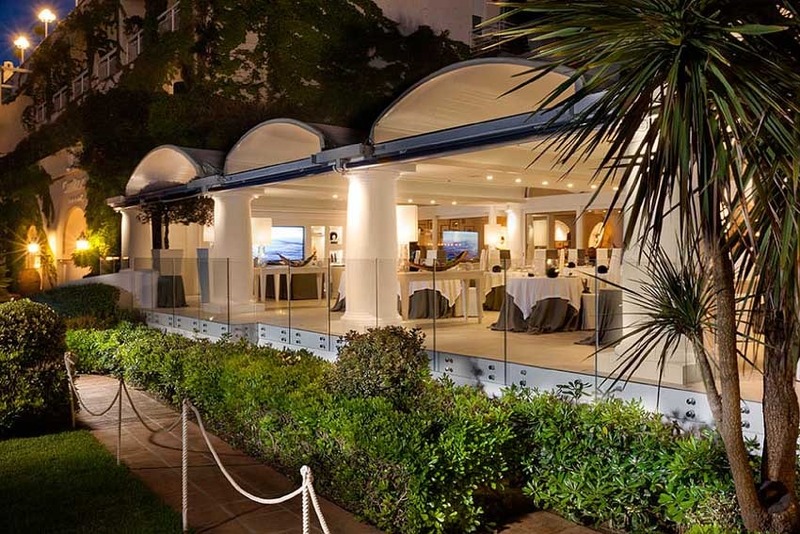 Welcome your guests at the exclusive Bar degli Artisti, with a sweet sound of live jazz music. 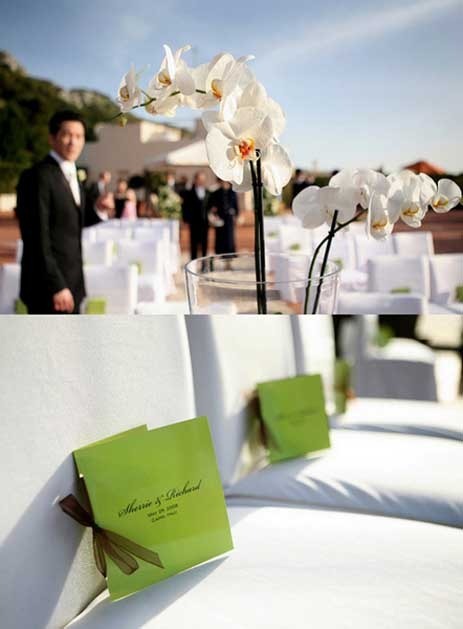 Sit-down wedding banquets can follow in one of halls available for exclusive events. Indoor restaurant up to 120. 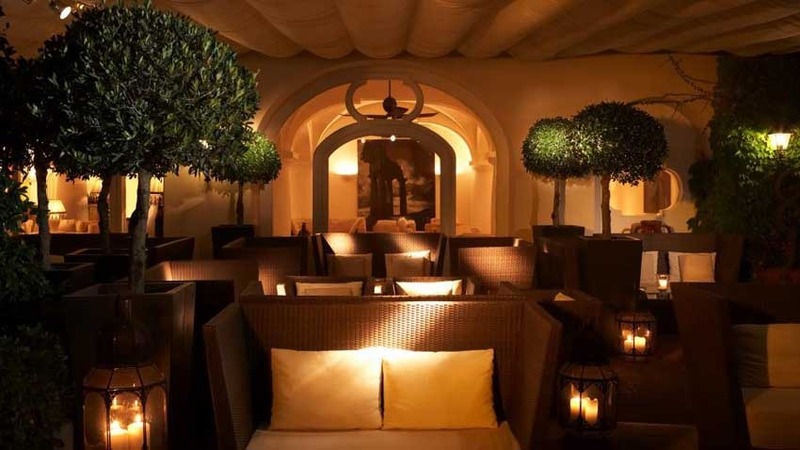 Splendid outdoor terrace by the pool up to 140. Banquet halls up 180 and outdoor setting up to 150. 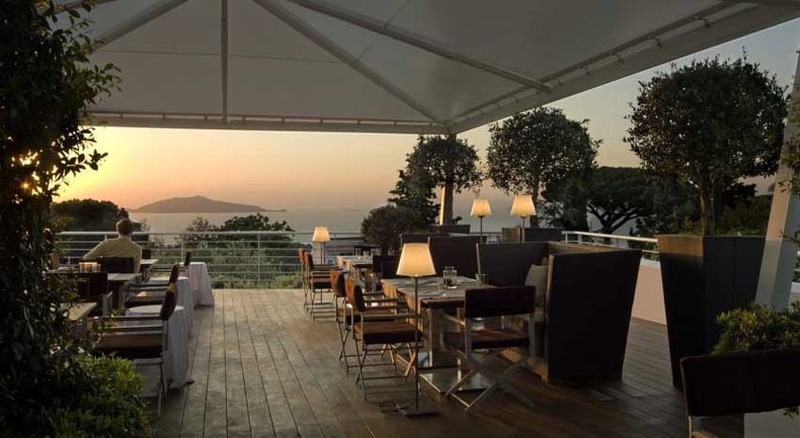 This is the only restaurant in the island that has achieved 1 Michelin Star. 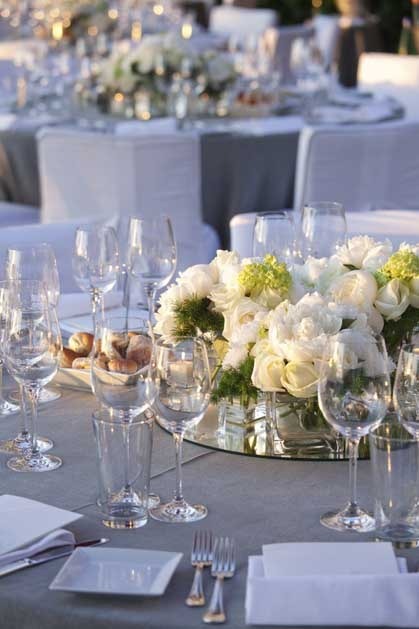 A cuisine of Italian flair, thanks to their young and talented chef, that has re-interpreted local traditions., maintaining genuine flavors and combining them with his particular innovative style of cooking. Wine cellar with more than 8,000 bottles of Italian and International wines and around 500 labels. Classic, piano bar live music is allowed. Dancing is allowed inside the Hotel until midnight. 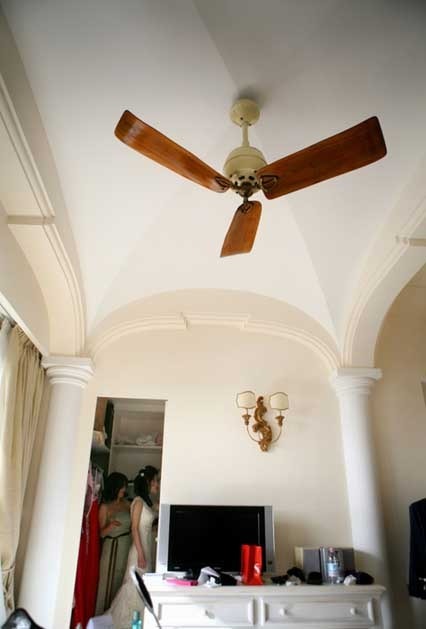 81 rooms all wonderfully furnished with contemporary style. Most of them have private pools. Superb the suites. 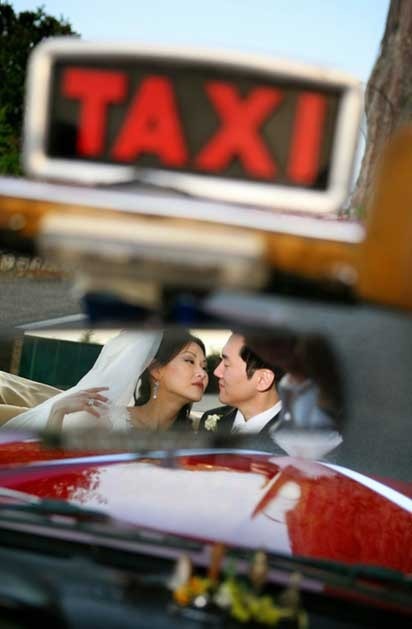 Transfers and excursions, tennis court, bar, pool, billiard room, piano bar, Spa.